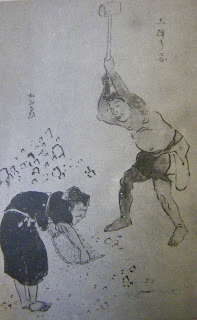 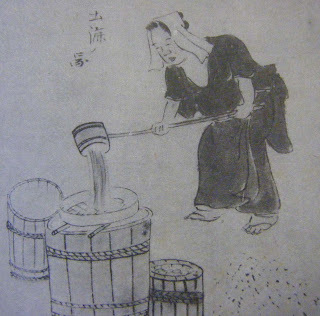 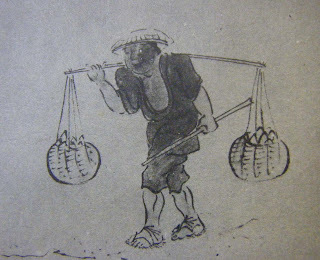 A few years ago I found a really neat book published in Showa 8 (1933) showing black and white drawings of the way potters used to work in Shigaraki. 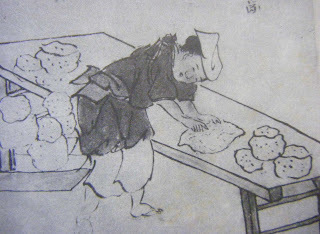 In the coming week I'll upload some to this blog in the series of how the process worked back then; of course it was a process defined by a division of labor, there were the clay diggers, the clay processors, the wedgers, etc....and that will be clear by viewing the photos. 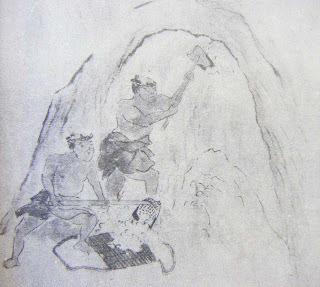 The book was written by Ono Kenichiro and it titled Shigaraki-yaki Zukai. 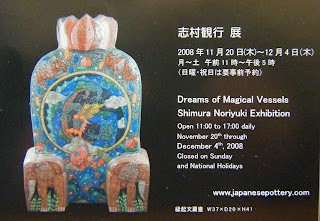 Eighty quite unique and inspired 'mythical' vessels by Shimura Noriyuki online at www.japanesepottery.com from next week...stay tuned!